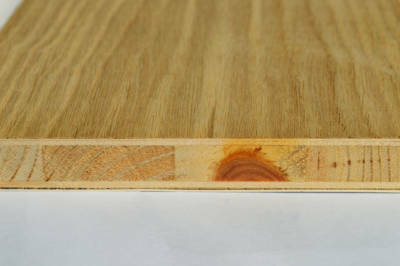 Blockboard (or Laminboard) is classified as a plywood due to it’s construction of at least 3 veneers (face, core & back). However, it differs from plywood as it’s core is comprised of strips of solid timber or veneer laid on edge which is bonded and then faced with veneers on each side. The result is a lightweight core which is faced with a flat face or back which can be painted or further enhanced for decorative purposes. Hanson Plywood’s Birch, Ash and Oak Faced Blockboard are all sourced from FSC® certified forest concessions. The company’s robust Chain of Custody management system ensures that these certifications are respected and adhered to throughout the supply chain. For further information, please refer to our Environment Page.